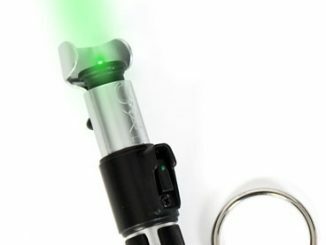 Create a unique Lightsaber Room Light featuring your favorite Star Wars character’s hilt with The Star Wars Remote Control Lightsaber Room Light. 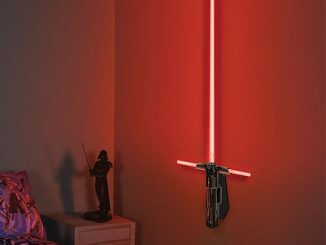 Star Wars fans can construct their own lightsaber and mount their creation as a room light on the wall. 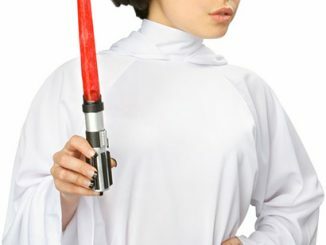 During construction, kids can learn about the electronics that make a lightsaber work. 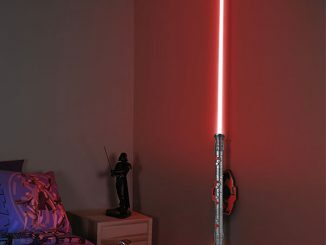 The perfect room décor item, the lightsaber features cool sound effects and a wireless remote control that turns the light on and off. 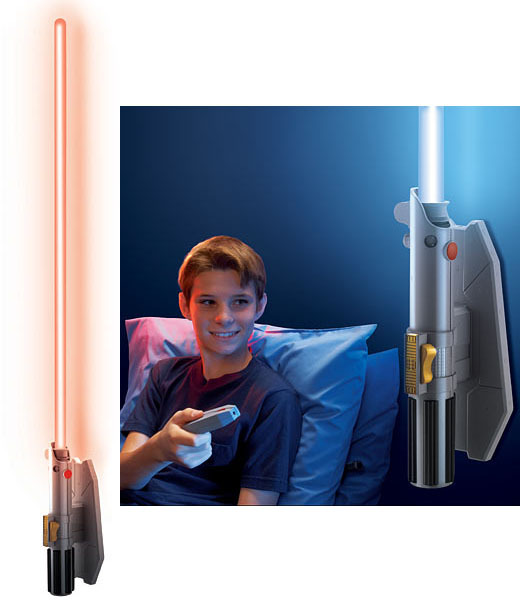 The Star Wars Remote Control Lightsaber Room Light – Luke Skywalker includes: 1 Lightsaber, 1 Wall mount with Hilt, 1 Remote Control, and 1 Educational Manual/Instructions. 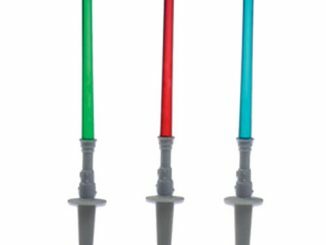 Choose from three different editions of lightsabers with sound effects: Darth Vader in Red, Luke Skywalker in Green and Obi Wan Kenobi in Blue. 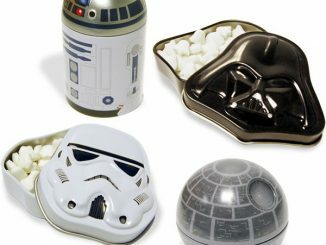 A wall flaunting of all three pieces of flair would make for dramatic results. 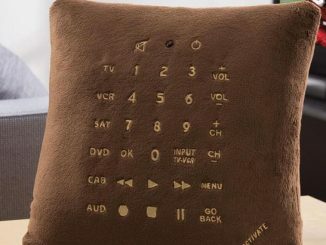 Who doesn’t love a wall of weapons? 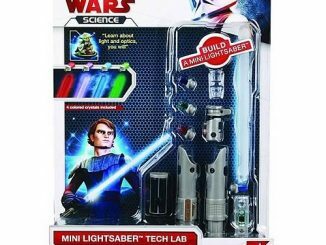 Since the light is part of the Star Wars Science line by Uncle Milton, the instructions pave the way to educate kid clones about the electronic components inside the lightsaber and how they function. 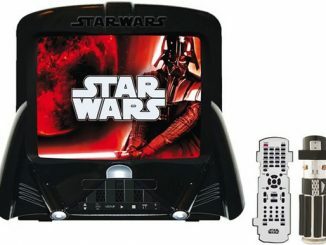 Not only that, but the light creates a nice opportunity to teach kids some handyman tricks by getting them involved with the mounting the wall piece. 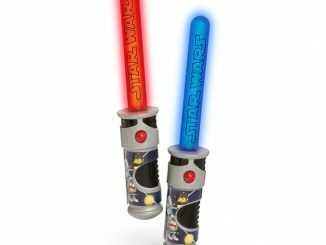 The three different editions of the Star Wars R/C Lightsaber Room Light is now on sale for $15.39 at ToysRUs. 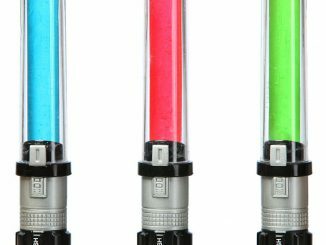 There also happens to be another suped-up version of the Room Light, including advanced features such as color-changing capabilities, on sale at ThinkGeek for $24.99. 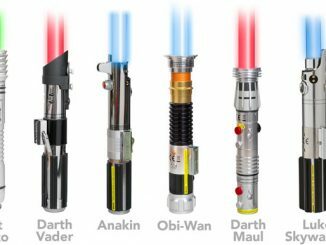 If you need more lightsaber gear, we’ve also got info on the Star Wars Mini Lightsaber Kit, USB Lightsaber Lamp/Flashlight, Lightsaber Keychain as well as the Bottle Opener Lightsaber Keychain, and an array of Lightsaber Chopsticks.